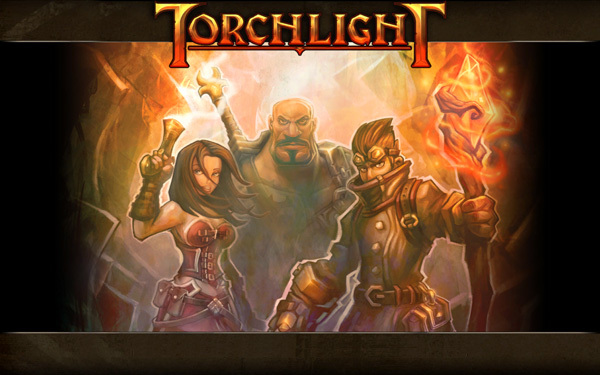 So having never played Diablo or anything similar, when I downloaded Torchlight on XBLA I wasn’t quite sure what to expect. I knew there were dungeons, and I knew there was loot, and I knew the game was on sale. About an hour into it, I realized that while I liked the game, it was never going to progress beyond this first little town. And deep though it may be, I was also only getting one dungeon. It wasn’t much longer before I ran into one of my favorite entries in the Advanced Dungeons & Dragons Monstrous Manual, the always-entertaining Phase Beast. Upon its inevitable death, the Phase Beast dropped not a pair of 200lb spiked boots or an ornate flintlock pistol, but a portal. I was jamming A as one does to pick up loot indiscriminately, little knowing my mind was about to be blown. Suddenly, I was in another dungeon.